April 2018! Time for those Luscious Heat Lovers! The soil is warming, soon it will be the ideal time to start Peppers! Recently Santa Barbara area night air temps have been steadily in the early 50s. Soil temps in the sun are now just 51° – 56°. 60° to 65° are what we are looking for. PEPPERS especially need warmer temps, nighttime temps above 55°F and soil temps above 65°F. If planted too soon, sometimes they miss their natural sequence of production, and never produce. 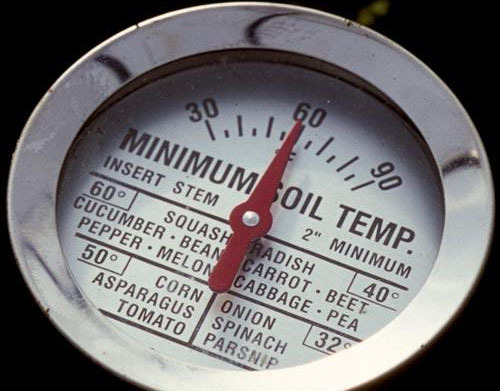 Check out the Quick Guide to Summer Veggie Soil & Temp Preferences! APRIL is true heat lovers time! Start MORE seedlings indoors NOW for successive June plantings. Sow seeds. If seeds and tending seedlings aren’t for you, get transplants and pop them in the ground per their right times! April 1 or as close to it as you can, start your Jicama seeds! Winter squash for sure. It needs time to grow big and harden for winter storage. MAY for cantaloupe, peppers, pumpkins and squash! Wait until the soil has warmed to 70°F before planting squash and melons. Many wait until May, some even June, to plant tomatoes to avoid soil fungi. Some gardeners wait until JUNE to plant okra. Okra really likes heat and grows quickly when happy. Choose faster maturing varieties for coastal SoCal. Long beans need warm temps to start from seeds. If YOU anticipate a HOT summer, plant a tad earlier, but be prepared to deal with it if summer is overcast as often is the case after all. While we are waiting for the right temps, do soil preps that may still be needed. Weed out plants that won’t help your summer lovers. Make your soil fluffy with water holding compost, only 5 to 10%, while also adding tasty well aged manure! Keep COMPOSTING! 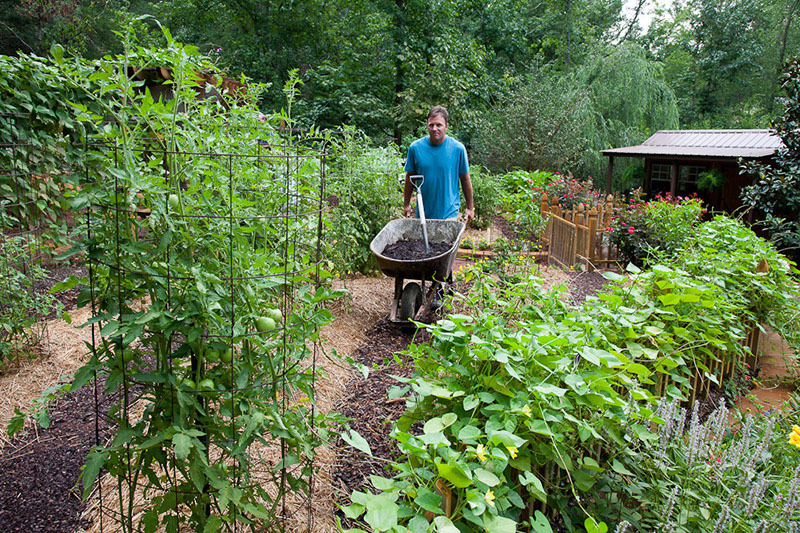 Soil building is the single-most important thing you can do for your garden. Compost keeps your soil aerated, has great water holding capacity, feeds slowly just perfectly! And if you made it, you know what’s in it! Make it HOT, Cold, or In place! In place takes the least time, is the most efficient, is a worm buffet! Move the top 6″+ of soil to the side, put in your ingredients, chop fine, sprinkle with well aged manure, mix in some soil so the chopped bits don’t form an impervious mat, cover with the remaining soil you removed. Give it 2 to 3 weeks and you are ready to plant! Dry is dead, so be sure it is always slightly moist. Giving back to Mama Earth is nature’s natural way! And, like Will Allen says ….there is something very Spiritual about touching the soil, that’s where life begins. Heat lovers are eggplant, limas, okra and peppers, pumpkins! Transplant early-maturing varieties of beans, cucumbers, eggplant, melons, peppers, squash, and tomatoes. Sow and/or transplant asparagus, beets, carrots, celery, chard, corn, herbs, kale, kohlrabi, leeks, heat-tolerant leaf lettuce, okra, summer-maturing onions, parsley, peanuts, the last peas (choose a heat-tolerant variety such as Wando), white potatoes with zucchini, radishes (with cukes to repel cuke beetles, and with eggplant to repel flea beetles), rhubarb, and spinach. Choose heat and drought tolerant varieties when you can. For example, why wait when it gets HOT and your tomato stops setting fruit?! Get heat tolerant varieties the heat doesn’t bother! Check out this nifty page of options at Bonnie Plants! See Tomatoes are the Fireworks of Your Summer Garden! Tomatoes! Heirlooms are particularly susceptible to the wilts, Fusarium and Verticillium. Instead, get varieties that have VFN or VF on the tag at the nursery. The V is for Verticillium, the F Fusarium wilt, N nematodes. Ace, Early Girl, Champion, Celebrity, are some that are wilt resistant/tolerant. In Santa Barbara area continued drought conditions, consider getting only indeterminates. In the Mother Earth News tomato survey, they found gardeners chose heirlooms over hybrids if their soil is wilt/blight free. Otherwise, the longer the gardener has gardened, they more they chose wilt resistant toms if their soil has fungi. La Sumida has the largest tomato selection in the Santa Barbara area! See Special Planting and growing tips for your Tomatoes and Cucumbers! If you are interested in the Indigo family of tomatoes, Terra Sol will be having them again this year! Call ahead to see when they will arrive – save space for them! Time for heat-resistant, bolt-resistant lettuces of all kinds! Sierra, Nevada, Jericho, Black Seeded Simpson are some. Green Star wins the beauty award! Tips for super Successful Transplanting! Strengthen your garden! Remember, plant your Companions! Keep the biodiversity rolling! Plant pest deterring plants first so they will be up and working when you put in your seeds or transplants! Alyssum, in the image, is a great old fashioned pretty border plant, an understory living mulch. And white Alyssum repels the cabbage butterfly. Basil repels several unwanted insects, is great near tomatoes but not in the basin with the tom. The tom needs less water. Beans, Cukes, Dill, Radish Combo! Cukes and Beans are great on the trellis, one high, one low. Dill to go with pickling cukes. Radishes to deter Cucumber beetles. WHITE Potatoes with Zucchini to repel squash bugs. Radish with eggplant, cukes & zukes as trap plants for flea beetles and to repel cucumber beetles. Carrots love being with cilantro and chamomile, and chamomile improves the flavor of any neighboring herb! Calendula traps aphids, whiteflies, and thrips! Marigolds are brilliant and called the workhorse of pest deterrents! Lettuce and carrots make a great understory below larger plants like peppers, eggplant. They act as living mulch! If you already have enough lettuce and carrots, scatter a living mulch, soil feeding legume seed mix under those plants. At the end of the season you can turn it all under – aka Green Manure. Or remove the larger plants, open up spots and put in winter plants! See much more – Living Mulch/Green Manure! Keep ’em coming! If you have already done some planting, mid to late April, schedule to pop in another round! Poke in some bean seeds where your very last peas are finishing, add cucumber seeds or transplants between the beans, plus dill at each end of the trellis to be there when you pickle those cukes! Plant more radishes to deter the Cucumber beetles, repel flea beetles. Fill in spots that could use a helper companion plant like calendula or chamomile. Succession planting makes such good sense. Put your seeds and transplants in at the same time. Seedlings will come along 6 to 8 weeks behind your transplants so you have a steady supply of yummy veggies! But, again, if tending seedlings isn’t your cup of tea, just leave space and put in more transplants in 6 to 8 weeks after your first planting. It is perfect to put in fast growers like lettuce, beets, turnips, arugula, to hold space until you are ready to plant bigger plants. When it’s time for the bigger ones, clear a space/harvest, pop in your seeds or transplants and let them grow up among the littles. As the bigger plants start to shade out the littles, remove strategic lower leaves of the big plant so the littles get light too! If you anticipate a HOT summer, plant littles on the morning light side of larger plants. Put in borders of slow but low growers like carrots, mini cabbages, in more permanent placements, like on what will become the morning side of taller backdrop plants like peppers and eggplant. Natural Disease & Pest Prevention! Be wise and pick the right plant varieties for your temps and conditions! Get heat tolerant, bolt resistant, drought tolerant, disease tolerant/resistant. If you are just starting, just start! You will learn as you go. Our climate is changing, so we are all adjusting and plants will be being hybridized, and hybridize naturally, for new climates. We can get varieties from other areas that are already used to conditions we will be having. Together we will do this. Locally, save seeds from plants that do the best with the heat and share some of those seeds at the Seed Swap and with other gardeners. Think biodiversity! Plant companion plants that repel pests, enhance each other’s growth so they are strong and pest and disease resistant. Mix it up! Less planting in rows, more understories and intermingling. Split up groups so pests won’t go from one plant to the next, and the next. Allow enough room for air space between, no leaves of mature plants touching each other. That breaks up micro pest and disease habitats. – Add worm castings for your plants’ excellent health. 25% is best; 10% will do if that’s all you got. – Add a tad more tasty properly aged manure mixes where manure lovers will be planted. – Put in a finely ground bone meal for 2 months later uptake when your plant gets to flowering time. – Add Jamaican guano high in P, Phosphorus, at planting time. It helps your plants continue to bloom LATE in the season! Its NPK ratio is 1-10-0.2, takes 4 months to become available to your plants. Other quanos don’t have this particular NPK ratio. – Sprinkle mycorrhizae fungi directly on transplant roots, all but Brassicas, at planting time to increase their uptake of nutrients and water. – Use acidic compost in strawberry patches and work in a little where you will be planting celery and string beans. Immediately drench your transplants, foliar feed, with a non-fat powdered milk, baking soda, aspirin, soap mix to jazz up their immune systems. Specially give your peppers an Epsom salt and soap mix bath for a taste of sulfur. More details and all the recipes. Maintenance! Keep your plants strong while they are working hard! Be ready to do a little cultivating composts and manures in during the season (called sidedressing), or adding fish/kelp emulsion mixes if you don’t have predator pests like skunks! Keep your plants watered and vibrant, but not so much as to make their leaves soft and inviting to munching insect pests like aphids. Trap gophers immediately if you are able. Harvest promptly. Insects and diseases know when plants are softening and losing strength as they age. Insects are nature’s cleaner uppers, and they and disease organisms are hungry! If leaves are yellowing or not looking up to par, remove them. Whiteflies are attracted to yellow. Prevention A frustrating typical spring disease is Powdery mildew. It’s common on late peas, Curly Leaf kales, broccoli, cucumbers and zucchini. Plant leaving plenty of space for air circulation. Apply your baking soda mix. Drench under and upper sides of the foliage of young plants to get them off to a great start! Do this the same or next day if transplanting. A super combo is 1 regular Aspirin dissolved, a 1/4 cup nonfat powdered milk, heaping tablespoon of baking soda, a half teaspoon liquid dish soap per gallon/watering can. Reapply every 10 days or so, and after significant rains. Not only is prevention so much better than after mildew has set in, but this mix stimulates your plant’s growth! See Aspirin Solution. Please always be building compost. Compost increases your soil’s water holding capacity. In California drought conditions consider planting IN furrows, where the moisture settles. Plant crosswise to the Sun’s arc so the plants’ root areas will be slightly shaded by the depth of the furrow in early AM and late afternoon. If you still want your plants on top of the furrow, make the raised part of your furrows wide enough that you can put a mini trench on top of it! That holds the water up at your plants’ feeder roots area and if you water carefully, your furrow won’t degrade from water washing the sides away. Make mounds with basins on top. For virus sensitive plants like toms and cukes, make sure the bottom of the basin is higher than the level of the surrounding soil level. Rather than losing water to evaporation from overhead watering, put the water right where it will do the most good and nowhere else. Make the mound to the dripline of your plant so small surface feeder roots get moisture for food uptake. For larger leaved plants, put a stake in the center of the basin so you know where to water. With a long watering wand you can water under the leaves rather than on them ~ unless they need a bath to remove dust. Fuzzy leaved plants like tomatoes and eggplant don’t like wet leaves. And, once your soil is heated up, PLEASE MULCH! Straw, Self Mulch or plant soil feeding living mulch. It keeps your soil cooler, more moist, less water needed. And it stops light germinating weed seeds! See more on Mulching right for each plant!Straw is dead, but has its advantages. It gets fruits up off the ground and keeps soil from splashing up on lettuce leaves! Straw mulch can help reduce cucumber beetles 3+ different ways. 1) Mulch might directly slow beetle movement from one plant to another. 2) The mulch provides refuge for wolf spiders, daddy long legs and other predators from hot and dry conditions, helping predator conservation. 3) The straw mulch is food for springtails and other insects that eat decaying plant material; these decomposers are important non-pest prey for spiders, helping to further build spider numbers!Living Mulch, Self mulching, planting closely enough so your plants self shade, is tasty and uses your soil nutrients. It’s most efficient space use is planting effective smaller companion plants under, beside, among, around larger plants.Soil feeding Living Mulch You can up the amps by tossing a mix of legume seeds under your plants to feed your soil as well! You may decide to do both. Plant the small plants you need, grow legumes under the rest along with the right companion plants per the crop there. Sprinkle and pat on Mycorrhiza fungi right on the roots of your transplants when you put them in the ground. It increases uptake of nutrients, water, and phosphorus that helps roots and flowers grow and develop. Ask for it bulk at Island Seed & Feed in Goleta. Dust Mulching, cultivation, weeding, is perfect to break up exposed soil surface. That keeps the water from wicking to the surface and evaporating. Do it especially after rains. If you use a hula hoe you do two things at once! Just a half to one inch depth cuts off weed sprouts that use water. Indeed, it turns the soil a tad, all that’s needed. More weeds will follow, but it’s quick and easy to repeat the process. Two, three times, a few days apart, and there will be few weeds after that for awhile. Get ’em while they are small and easy to do. Smart gardening. Plant Bee Food, Herbs and Flowers! Sow or transplant basil, borage, chervil, chamomile, chives, cilantro, comfrey, dill, fennel, lavender, marjoram, mint, oregano, rosemary, sage, savory, tarragon, and thyme. Be mindful where you plant them… Mediterranean herbs from southern France, like lavender, marjoram, rosemary, sage, savory, and thyme, do well in hot summer sun and poor but well-drained soil with minimal fertilizer. On the other hand, basil, chives, coriander (cilantro), and parsley thrive in richer soil with more frequent watering. Wise planting puts chives by your broccoli, kale, but away from peas if you are still growing some. Cilantro, a carrot family workhorse, discourages harmful insects such as aphids, potato beetles and spider mites, attracts beneficial insects when in bloom. Dill is a natural right next to the cucumbers since you will use the dill if you make pickles. They mature about the same time. Let some of your arugula, carrots, lettuces, cilantro bloom! Bees, and insect eating birds and beneficial insect predators and pollinators love them and you will get some seeds – some for the birds, some for you, some to take to the seed swap! Grow beauty – cosmos, marigolds, white sweet alyssum – all benefit your garden in their own way! See Stripes of Wildflowers! See the entire April 2018 GBC Newsletter! April! Time for those Luscious Heat Lovers! Use Cover Crops to Improve Soil! Virtuous Veggies Alkalize Your Body for Top Health! Upcoming Gardener Events! Santa Barbara Botanic Garden Spring SALE! 48th Annual EARTH DAY Santa Barbara! SBCC ANNUAL PLANT SALE! Edible Garlic chive blossoms on beautiful thick walled red bell pepper! Peppers are not just food, they are an adventure that spices your life! They are not just a veggie, but an edible garden beauty in your landscape! Peppers Come in an Amazing Array! Mini to Mammoth! Tiny brain wrecking hot chilis, dainty mini to humongous sweet Bells! Early maturing thin walled, later thick walled. Short, long – pointy, round. Ones that hang down, others that point up! Peppers come in colors you won’t believe! How about these super thick walled Jupiter Sweet Burgundy! On the right are 8″ colossal beauties Yellow Monster Peppers! Really sweet, meaty, great fresh, fried or roasted! Striped, one of the prettiest peppers ever, Fish Pepper, above left, is an African-American heirloom that predates the 1870s. It starts out an unusual cream color striped with green, the fruits ripen to orange with brown stripes, before turning all red. Super for containers! At right is beautiful Numex Twilight. It can produce more than 100 small pretty pods! At 100,000 Scoville Units, it’s HOT! Respect. Disease resistant If your land is moist, hybrids are probably going to do better for you than heirlooms. In coastal Santa Barbara CA we usually have a late spring/summer fog belt/marine layer, locally referred to as the May grays, June glooms and August fogusts. Choose Resistant varieties per the list below and also Potato Yellow Mosaic Virus, Pepper Mottle Virus and Cucumber Mosaic Virus. (TMV) Tobacco Mosaic Virus Here are recommended varieties by UC Davis in California. TMV is Tobacco Mosaic Virus, PVY is Potato Virus Y. AAS is a super plus! It is an All America Selections winner! Location! If you have a short summer season or are cooler and coastal perhaps, choose earlier smaller fruited varieties than ones that need a long hot summer to fully mature and if necessary change color too. Cold Tolerant! If you love your peppers and want some early, or have a short growing season, order ones that mature quickly and are cool weather adapted! Plant those first and others more heat tolerant soon after to carry the length of the season. For sweet bell peppers, get seed for Ace, Lady Bell or King of the North! Obriy Ukrainian sweet red pepper is both cold and heat tolerant! For hotties that don’t mind cold, order up Early Jalapeño, Hungarian Hot Wax or Anaheim. Rocoto stands some cold but not a hard freeze. Manzano are reported to survive at 20°! The extraordinary feature of these two peppers, Capsicum pubescens (hairy leaves), is they grow into four-meter woody plants relatively quickly, and live up to 15 years! Truly sustainable! If cold weather can happen anytime where you live, grow your peppers in pots; take them inside when it gets cold. Heat Tolerant! Peppers are a Solanacea like tomatoes, and like tomatoes they produce poorly during high temperatures. Banana, ‘Gypsy’ and pimento produce very well, despite the heat. Jessie Keith says ‘super spicy classic jalapeño ‘Tula’, wonderfully flavorful pasilla-type pepper ‘Holy Molé’ (2007 AAS Winner), and classic spicy sweet red bell pepper ‘Mexibell’ (1988 AAS Winner). Of the sweet bell peppers nothing beats the tough, [thick walled] disease-resistant ‘Orange Blaze’ (2011 AAS Winner) and its crisp, bright orange peppers.’ Heirloom Olympus (65 days green, 85 days red) has large bell peppers on medium-sized plants with good leaf cover. They are high-yielding plants, are heat tolerant and can set fruit under a wide range of conditions. MG Seed Stock. If you planted varieties that are more heat susceptible, put up a shade cloth cover. Depending on the density you select, shade cloth can lower the temperature by approximately 5-15 degrees. If you live in a hot area, bell pepper transplants can be planted in August for fall production when the weather cools down. Drought tolerant Look for the terms drought tolerant, drought resistant, dry farmed when searching for the best variety for your garden. It’s important to know that drought tolerant doesn’t necessarily mean heat tolerant and vice versa, so stay alert if you need both. When you are buying seeds, consider the location of the seed company. Perhaps local seed houses will understand your needs best. Check in with local farmers to see which varieties they are growing, remembering that some of their standards are different than a home gardener. For those of you in water critical areas, one way to help the situation is to pick pepper varieties with fewer days to maturity. You get peppers, you can freeze some, your plants are done before the highest heat and driest times. The UC Sonoma County list is short, only two varieties, Jupiter Red Bell and Ordoño. Sweet Peppers like: Basil, tomato, rhubarb, eggplant, lettuce, asparagus, parsley, silver beet, spinach, carrot, onion, beans, cabbage, peas, marigold and okra. Hot Pepper plants do well alongside eggplant, tomato, okra, Swiss chard, escarole, squash and cucumbers. Peppers are Temp Particular! Peppers grow best in daytime air temperatures 65° to 85°F. Transplant when night time temperatures stay above 50 degrees, 55 is better. Below that plants grow very slowly, have yellowish, puckered leaves, and look sickly, often don’t recover. Night temps between 60° and 70° are best. The ideal temperature for peppers is a daytime temperature around 75°F and a nighttime temperature around 62°F. At soil temperatures above 65 degrees, pepper growth accelerates. If either the soil or air temperature is much below 55 degrees, blossoms of transplants may drop off. The plants may survive and more blossoms will appear. But it is more likely plants will become stunted and never recover. If your plant is puny and showing no growth, best to compost it and replant when it is warmer. Nighttime temperatures below 60 F or above 75 F can reduce fruit set. In daytime temperatures greater than 85°F, peppers may drop their blossoms although set fruit will ripen. When daytime temps reach 90 F and above, and stay there, just like with tomatoes, the blossoms seldom set fruit. Not to worry. Just give them some time after temps are lower. Color Changes! Mother Earth News says: After reaching their maximum size, green peppers that are meant to turn red, will develop red pigments in 10 to 28 days, if daytime temperatures are between 65 degrees and 75 degrees. In southern regions where temperatures exceed that range, peppers turn yellowish and may acquire an off-color pallor that is not attractive. Below the optimum temperature range, color development slows dramatically; below 55 degrees, it stops completely. If soil temperatures drop below 68 degrees, pigment production declines and eventually ceases. Peppers love sun, but a bit of shade is good for the fruit. I planted a Poblano between two big tomato plants. For a while I thought it was a goner, shaded out, then, it just grew and grew! It got almost 4′ tall and produced like crazy and I gave giant peppers away! Epsom Salts! Rather than in the soil, do foliar Epsom Salts! A cheap home remedy that can keep plants greener and bushier, enhance production of healthier fruit later in the season, and potentially help reduce blossom-end rot. You could apply 1 tablespoon of granules around each transplant, but research has shown a foliar spray of a solution of 1 tablespoon Epsom salts + a 1/2 teaspoon of liquid dish soap (Dawn) per gallon of water at transplanting, first flowering, and fruit set is more effective! As a foliar spray, Epsom salts can be taken up quickly by plants, otherwise, it is sometimes hard for the plant to get it out of the soil because of calcium competition. Plant your peppers about a foot to 18″ apart. A healthy pepper will get big and top heavy with fruit! It is wise to put small tomato cages over thick wall bell pepper varieties when you plant, to support the weight when they are heavy with fruit. Though a perennial, they are very susceptible to freeze. With Bell peppers, I have heard a lot of people say their peppers overwintered and produced just fine the following year, but I have not seen that to be true at the community gardens. They are never as robust nor do they produce the big healthy fruits first year plants do. If you are one of the lucky ones, by all means, protect them when there are freezes. Hot peppers are another story. They seem to do a lot better overwinter, depending on the variety, and I have seen them carry on wonderfully! Personal Mulch! Solanaceae, that’s peppers, tomatoes, eggplants, like mulch from their own leaf litter, so just let the leaves fall and accumulate. In hot summer weather your peppers will appreciate a heavy mulch. Several inches of straw or dried grass clippings will keep the soil cooler and reduce moisture evaporation. Continually moist ground is a necessity for peppers, as they, like tomatoes, suffer from blossom end rot, a physiological disease caused by a calcium deficiency. Most soils contain ample calcium, but the mineral relies on water to transport it to the plant’s root system. When the soil lacks moisture, the calcium can’t reach the plants and a tell-tale black leathery spot forms on the blossom end of developing fruit. Heavy Nitrogen fertilizer applications can also induce a transient calcium deficiency. I emphasize that you give your peppers plenty of compost for water holding capacity and keep them well mulched! Peppers, have shallow roots, need even watering. Keep the soil moist, not soggy, to encourage root development and prevent blossom wilting and bitter-tasting peppers. Moisture stress during bloom can cause substantial reduction in fruit set. Sidedressing Peppers need fertilizer in small doses, a rich organic fertilizer when blooms appear. If you scratch in some compost, be careful not to damage their shallow roots. Liquid chicken manure is high in nitrogen and potassium for heavy feeders like peppers. Big, sweet peppers require a continual source of nutrition. The easiest way to fertilize them is to incorporate gradual-release fertilizer in the ground at planting. Fish-meal pellets, alfalfa pellets or cottonseed meal are all good organic choices. You also can foliar-feed plants every week or two with a fish/seaweed soluble fertilizer, spraying the tops and bottoms of leaves, or water the ground with the same mixture. Replenish mulch as needed throughout summer! You might schedule a mulch check for them and all your plants once a month. ANNUAL OR PERENNIAL? Technically peppers are perennials, grow year after year – in the right climate. Some chiles overwinter well in Santa Barbara. Bell peppers are another story. Geographically, in Santa Barbara CA they are temp sensitive annuals! I’ve heard claims about them overwintering in the garden successfully, but I have yet to see it. If you like to do it, better to pot your pepper before any frosts and take it indoors by a sunny window or into your fine greenhouse! You have a couple choices. Prune it ruthlessly, or keep it growing, even producing, with lights and bloom sprays. There are many online threads about overwintering your peppers. Check out tips from several experts to make your efforts count! Personally, there are so many tasty fresh winter foods that grow well here in our SoCal ‘winter,’ that I am more than happy to replant peppers in spring! For Blossom End Rot, see above under Care. Early Blight and Verticillium Wilt are a problem at all the Santa Barbara Community Gardens. Please see more about them and what to do here. See more about Pepper pests and diseases at the UC Davis IPM page. California Wonder Peppers changing color! Eden Brothers Seeds image. Bell peppers are at their sweetest and are highest in Vitamins A, C and carotenoids when fully mature! When choosing bell peppers for eating, select those that are firm, heavy for their size with shiny, bright and vibrant richly colored skin! The bell pepper’s sweetness increases as their color changes from green to their final color if they are a color changing variety. Their stems should be green and fresh looking. To avoid breaking branches, use a sharp knife to cut, instead of pulling. It’s nice to know that if not optimally ripe, vitamin C and carotenoids in bell peppers will actually increase with refrigerator storage over the next 10 days! STORAGE can be really fun with peppers! So many options! For maximum flavor, eat peppers on the same day they are picked! Room temp is best for peppers, leave them on a kitchen counter for a day or two to ripen further. Rinse with cold water just before you use them. Bell peppers are very sensitive to ethylene gas so don’t store them with fruits and vegetables that produce ethylene gas. If you put them in the fridge, do it only 1-3 days and use immediately upon taking out of the fridge. Don’t remove their cores because they are quite susceptible to moisture loss. Peppers are warm-weather fruits that don’t store well in cold temps. If you have too many peppers, consider the following storage options. Freezing This is the easiest storage method. Peppers freeze well without blanching. Thawed peppers still retain some crispness and can be used in cooked dishes or raw in uncooked preparations. Their flavor is retained, so use frozen peppers primarily for adding ‘spice’ to soups, stews, and sauces. If you stuff the peppers before freezing, you’ll have a ready-made dinner, perfect for the microwave. Wash and core peppers. Chop, dice or slice according to how you plan to use them. Spread in a single layer on a tray of a cookie sheet. Place tray in the freezer for an hour or longer. Loosen pepper pieces from the tray and pour into zip closure freezer bags. Immediately place sealed bags in the freezer. The pepper pieces will remain separated for ease of measuring. Simply remove as many as you need, reseal the bag and return to the freezer. Or bag them separately in the amounts you plan to use them. Pickling/Canning Peppers are low-acid fruits so require canning under pressure. It’s easier to pickle peppers as you would cucumbers in a crock filled with a simple brine of four cups of water, four cups of vinegar, and 1/2 cup of pickling salt. Add a clove or two of garlic and some fresh herbs for delicious added flavor. Sweet Banana, Sweet Hungarian, Cubanelle are long, narrow tapering down to one, two or three lobes. They are thin walled, Cubanelle the thinnest. They are usually picked when light yellow or green. Because they have less water content than bells, they are perfect for frying. ‘Sweet Banana’ was the 1941 All America Selections Winner! Drying This method works best with thin-walled peppers, particularly the smaller varieties that can be dried whole right on the plant. The key to drying peppers is doing it slowly to retain their color and flavors. Perfect for spicing up bland backpacking meals! Another form of drying is in brilliant wreaths and Ristras! You can grind chiles into culinary or medicinal powders! They retain their lovely colors! Paprika is a dried powdered form of bell pepper, and though we are used to seeing red paprika, a paprika can be made from any color of bell pepper and it will end up being that same color. Both the decorative forms and these potent powders make sensational gifts! To prevent cross-pollination, hot pepper plants should not be planted near sweet or bell pepper plants. TRUE! Plant at least 400 feet between varieties to ensure absolute purity. That’s important info for seed savers! Harvest mature, fully-ripe peppers for seed. Most bell peppers turn red when fully mature. If frost threatens before peppers mature, pull entire plant and hang in cool, dry location until peppers mature. There are two methods to process pepper seeds, dry and wet. The dry method is adequate for small amounts. Cut the bottom off the fruit and carefully reach in to strip the seeds surrounding central cone. In many cases, seeds need no further cleaning. To process the seed from large amounts of peppers, cut off the tops just under the stem, fill a blender with peppers and water and carefully blend until good seeds are separated and sink to bottom. Pepper debris and immature seeds will float to the top where they can be rinsed away. Spread clean seeds on paper towel and dry in cool location until seed is dry enough to break when folded. FYI Birds are not sensitive to capsaicin, the heat factor in chilli peppers, and are therefore the main dispersers of the seeds! Remedies: Hot Oil! Healing Spices. The countless health benefits claimed are exciting and enormous! Cayenne is said to stop heart attacks. Hot oil works wonders on knees. Nutrition: I’m not sure people really eat peppers for nutrition, LOL! Peppers are in a food category all their own! Choices are made according to the Scoville Scale, how hot or not they are! At the lower end of the scale, nutrition may factor in somewhat, but it is more likely a visual choice, shape and color, whether for salad or type of cooking you will use the pepper for. Sweet luscious Bell Peppers have a whopping 169% of the daily value of Vitamin C we need, but who thinks of peppers as a source of Vitamin C?! More we think of low calories, but most of all, that delicious taste! But look, here’s more! Absorption of dietary iron is significantly increased when consumed with fruits or vegetables that are high in vitamin C. Eating raw bell peppers with iron-rich foods like meat or spinach, may help increase your body’s iron stores, cutting the risk of anemia. Eat peppers! Mexican recipes are classic! Salsa! Chile Rellenos! Add to burritos, roll-ups and tacos. Stuff and eat fresh, hot pockets! Roasted, grilled on the barbie! Pickled. Fine chopped in tuna or chicken salad! Go Cajun by sautéing with celery and onion, then mix with tempeh, chicken, seafoods. Stir fry some bits in the wok with cashews, shrimp and Oriental veggies. Puree in summer zucchini soups, hot or cold. Add color and crunch to your dip tray, make a pureed pepper dip! Pizza topping. Fresh slices in a cool Romaine, cucumber, avocado salad – add black beans for protein! To your great health and a happy palate! Stay cool when it’s hot! Magnificent Cabbages are Easy to Grow! Gorgeous Cabbage, Rancheria Community Garden, Santa Barbara CA Nov 27 after the rain. Cabbages have high fiber content, low calories! They have terrific disease-fighting compounds – cancer prevention, are high in Vitamins C and K, and have a host of minerals. They are not a cut and come again veggie like chard, lettuce, or super Vitamin A kale or purslane with its Omega 3s. But they will grow back in mini foursomes or up to six if you cut the head off close to the bottom of the head, leaving the lower leaves. Work some rich manure into the first inch of soil, then treat your plant like you normally would! The new heads are always smaller. Perhaps it’s better to remove and compost larger lower leaves, restore the soil and plant something new. But if your growing season is too short for multiple crops, this is a way of getting just a little more cabbage, and it is super tender! We love that cabbage makes those super heads in a glorious profusion of amazing leaves! It has its own unique crunchy texture. Consider that they do take up a fair footprint for a one time, one head crop, and it takes awhile to grow that compact head. Some say cabbage is cheap, why grow it? Cause it’s organic and it tastes terrific right from the ground! To some its sulfurous scent while cooking is overpowering (see below for ways to reduce that); to others it is heaven, what their family has always done! If you love it, you love it, and you might even get used to it if it is new to you! Cabbage is in the cruciferous family, genus Brassica. The word “brassica” translates in Latin as “cabbage.” Other brassicas are broccoli, cauliflower, kale, Brussels sprouts, collard greens. Tantalizing Startlingly Different Cabbage VARIETIES! As climate changes, look for heat and drought tolerant varieties if you will be growing them over summer. Classic gorgeous greens are garden gems! Red cabbage by far outdoes other cabbages in its cancer prevention properties. They have a concentration of anthocyanin polyphenols, which contribute to red cabbage containing significantly more protective phytonutrients than green cabbage. Interest in anthocyanin pigments continues to intensify because of their health benefits as dietary antioxidants, as an anti-inflammatory, and their potentially protective, preventative, and therapeutic roles in a number of human diseases. Early Maturing Minis or HUGE! Plant what you and your family can eat. Plant early for soonest treats, and longer maturing larger varieties to come in later. A couple delightful minis that can also be grown in containers are green Pixie Baby, and Red Express – 2 to 4 lb head, relatively split tolerant, only 63 days! Huge varieties you can grow easily are Mammoth Red Rock Cabbage, Stein’s Early Flat Dutch – 8 inch and larger heads weighing 10-12 pounds, a favored variety for kraut. If you really do want to grow giants, 80 lbs!, try Flatpol, Northern Giant, Giant Russian, OS Cross or Megaton! Savoy cabbage in particular—turns out to be an especially good source of sinigrin. Sinigrin is one of the cabbage glucosinolates that has received special attention in bladder, colon, and prostate cancer prevention research. Savoys are quite frost tolerant. Brussels sprouts are the most recent, historically, appearing on our tables by 1785. Really, they are mini cabbages conveniently along a stem! Santa Barbara weather generally doesn’t get frosty enough to make B Sprouts happy, the sprouts are quite small. But if you don’t mind the harvest time per the return, and you just love them, may they grace your table! However, in the last couple years I have seen Sprouts grown successfully to a larger size. It may depend on the variety selected? Chinese Cabbages are another Brassica, but are not cabbages though they sure look like it! Napa cabbage is SO elegant! Very beautiful, all those long, pale leaves with ruffled edges. Try the beautiful, Scarlette shown below left! Seeds! Bok Choy, or pak choi, is another leafy upright cabbageish plant eaten fresh in salads or steamed delicately. A lot of cabbage lovers love these plants too! Cabbages are easy to grow. Those seeds are so tiny you can hardly believe that great big plant came from one! Full sun and fat soil make them happy. In acidic soil, Red cabbage leaves grow more reddish, in neutral soils they will grow purple, while an alkaline soil will produce rather greenish-yellow colored cabbages! Select your planting area to accommodate your cabbages and their Companions! We have lots of tasty choices! Plant lettuces among your cabbages on the sunny side. Lettuces repel cabbage moths. Tomatoes and celery repel cabbage worms, but many sites say not to plant cabbies with toms. Nasturtium (attracts snails), onions, garlic, dill and borage act as an insect trap or repel harmful insects. Mustard greens among cabbage establishes a “trap” for moths and leafwebbers. Cabbage is not happy with Strawberries. Plant mint near peas, cabbage or tomatoes to improve their health and flavor, and mint oil repels insects. Plant the mint in a container! It’s invasive. Chamomile attracts hoverflies and wasps, both pollinators and predators that feed on aphids and other pest insects. CILANTRO repels aphids, potato beetles, and spider mites and makes cabbages/Brassicas grow REALLY well, bigger, fuller! NOTE: Dying parts of the brassica family of plants, includes cabbages, produce a poison that prevents the seeds of some plants from growing. Plants with small seeds, such as lettuce, are especially affected by the brassica poison, so use lettuce transplants among your cabbages. A professor at the University of Connecticut says brassica plants should be removed from the soil after they have produced their crop. SOIL Prepare your soil well in advance if you are in cold challenged areas. Often soil prep is done in fall rather than losing time getting ready in spring if you have a short summer. In Alaska, long 20 hour days compensate for their very short growing season! In SoCal, you can plant cabbages year round – just select the right varieties for each season. If you want them to be done so you can plant summer plants starting Feb/March, you can plant smaller fast growing varieties as late as early December for delicious results! They do better in cooler fall/winter weather though. Cabbies are heavy feeders producing all those leaves! They like rich soil and steady attention! Composted manure, Chicken manure, timed-release vegetable ferts are terrific. Cabbages need steady weather and regular watering for steady growth. Too much N (Nitrogen), too much water, makes the plant tender and weak – susceptible to pests like aphids. 1 to 1.5 inches of water per week does the job if it doesn’t rain. But an Alaskan planter says her cabbages will take a gallon of water on a long hot day when fully growing. Depends on where you are and how big your plant is. She grows giants. Here’s her cabbage soil planting hole recipe! Peat moss (holds water), a pail of sand (if soil is heavy remove some before mixing), 2 cups bone meal, 4-6 cups of composted steer manure, 2 cups wood ashes, a couple heaping tablespoons of Epsom salt (Magnesium) & powdered milk (calcium), maybe a little lime (to raise pH to deter clubroot). Your soil is likely different and you aren’t likely growing giants, so do your own formula, but if you are raising giants, be generous, they are going to need it plus feedings! After she plants… When its all watered and settled sprinkle a good cup of wood ashes around the new stem and nearby. This helps with bugs early when plants are at first weaker. Then I sprinkle Blood meal around in the moat off and on all summer, as its a quick nitrogen fix. I also use a little composted manure soaked in the water can and generous amount of fish emulsion in the summer watering. Fish is a slower acting fertilizer but cabbages seem to love it! Here’s a tip from UK giant grower David Thomas: Water lodging in the base of the leaf? Rather than removing a huge leaf that contributes to your plant’s growth, his way around this is to simply poke a hole in the lowest part of the leaf to let the water drain away (not through the main vein). SPACING If you are planting minis, 2 to 2 1/2′ spacing is good. Mine grow that big. If you are going for giants, 8′ spacing is needed! If you want maximum size, give them plenty of room. Crowding stunts plants as they shade each other out. Depending on the variety you plant, done right, in 82 days (3 months) you can get a 30 to 50 lb cabbage! In 2012, Scott Robb of Palmer, Alaska, broke the world record for heaviest cabbage at 138.25 lbs! He holds five current world records for his large vegetables. Select your seeds. Remember, AAS, All America Selections winners are prime! 2016’s cabbage winner is Katarina F1, an early maturing green 4″ mini, container variety – but you can plant it in the ground too! Get transplants from your local nursery. Locals are better than box stores because they select varieties that do well in your area and they want your success and your repeat business means a lot to them. Transplanting tips from David Thomas: I tear off all of the roots that are swirling around in the shape of the pot, this sounds a bit drastic and I would never treat a pumpkin plant in this way but on a cabbage it actually increases root growth. I plant the cabbage up to the base of the lowest leaf, the buried stem will also send out roots. Plant smart! Succession! Plant seeds and transplants of minis and bigger longer maturers at the same time to have a grand succession of fresh cabbages for your table. Pick off any yellowing leaves that attract whiteflies that get into your other plants. UC – IPM Worm castings work well against whiteflies. Slugs love getting into the lower outer leaves of cabbage heads. The slugs are so protected in there. Grrrr…. Early on lay on a Sluggo like pellet to stop them before they get started! When your cabbage head is right around its maturity date and the head is good and firm, harvest it! When a plant is past prime it dries, loses that bursting flavor, diseases, pests and birds start doing their own harvesting. Holes in cabbage’s leaves are a sure sign that cabbage worms or cabbage loopers may be attacking your plant. Look for these camouflaged green pests on the underside of leaves and pick them off. Tiny holes? Flea beetles – Dust with wood ash or flour dust. SIDEDRESSING If you think they need it, give your cabbies a feed when they start to head up. It may be that if you put a ring of granular nitrogen around cabbage, broccoli and cauliflower plants, you will be able to grow bigger heads of vegetables than you would without the nitrogen. Usually though, your soil will be ample. HARVEST promptly! I put the plant date and days to maturity on my plant id tags so I can check to see when to expect mature heads. The squeeze test tells you if it is firm and ready. Storing them on the plant a short time is okay, but otherwise the slugs, etc., get to them, the leaves start losing their verve, the head dries a bit and doesn’t have that bursting fresh feel! If you wait too long, the head may crack or split. If it cracks, take it immediately and salvage what you can. Cut the heads off, don’t bruise them by pulling them. STORE your cabbies in the fridge! Anthony Reyes at FarmScape Gardens says: Remove any loose surrounding leaves and keep just the compact head. It is important to note that the quality of the stem diminishes after being stored and tends to get slightly woodier the longer it is stored. Therefore, if you would like to eat the stem (which is delicious!) do so before freezing/storing for prolonged periods (it will still be good to eat, just a little bit woodier and sometimes stringy). Place in a paper or plastic bag with some holes in it to let moisture escape. This is important as you want to keep an aerobic environment to prevent excess moisture, condensation from transpiration, and mold from forming. SEEDSAVING Cabbage must be kept separated from other cole crops by a mile to prevent cross-pollination. That is impossible in a community garden. Better there to buy new seed each year. Another factor to consider is cabbages are mostly self-infertile. For seedsaving purposes they need to be planted in groups of at least 10 or more. For most of us that isn’t going to happen. Then, you need two years to do it! Cabbages, like all the Brassicas – broccoli, cauliflower, kale, Brussels sprouts – are biennials. So unless you have some extreme weather shifts, and they flower early, you wait overwinter. A week of hot weather and these cabbages above quickly bolted from no heads yet to flowering stalks. If you have had the opportunity to save seeds, lucky you! They are viable 2 – 4 years. In normal conditions, after overwintering, in spring, new cabbage shoots burst strangely out of the unharvested cabbage heads, flower stalks form, then seeds are made in their second year. The seeds are easy to harvest, but get them before the birds do! Poke some holes in a plastic bag. Pop the bag over the drying seed pods and wait until they are entirely dry. Collect the dry seed pods. In a baggie, rub them between your hands to pop them open to release the seeds. DELICIOUS WAYS TO EAT CABBAGE! In one recent study (post undated), short-cooked and raw cabbage were the only types of cabbage to show cancer-preventive benefits – long-cooked cabbage failed to demonstrate measurable benefits. Fresh Cole Slaw is best! Make it your way! Your recipe might mix red cabbage, pepper, shredded carrots, onion, grated cheese, pineapple, or apple. Your dressing could be a vinaigrette, mayonnaise, sour cream or cream with celery seed added. Slaw shapes are different – finely minced pieces, shredded strips, or even small squares! Buttermilk coleslaw is a southern United States treat! Or you just might top your salad with a few shreds of red cabbage! Boiled! If you don’t like that sulfur smell, do it quick! Cut into thin 1/4″ slices or wedges, drop into boiling water, simmer 10 to 15 minutes until just tender ~ or steam. Drain and serve right now! Or if you don’t need it right away, chill in ice water, drain, wrap for later. The European Sour version is to cook your cabbage in apple juice, cider, white wine or water and wine vinegar, using just enough liquid to cover the cabbage. You let the liquid cook away leaving tender richly flavored cabbage! When cooking red cabbage it will normally turn blue. To retain that marvelous red color add vinegar or acidic fruit. Put chunks in soups & stews, stuff leaves filled with whatever your heart desires, pickle, do classic Sauerkraut or super healthy Probiotics! I love the subtleties of cabbage. Their colors. Writer Edna Ferber says ‘…always, to her, red and green cabbages were to be jade and burgundy, chrysoprase and porphyry.’ Cabbages more or less ‘sit’ compared to other veggies, collecting power from the ground up, expanding slowly and quietly from the inside – called ‘hearting up.’ They are working astonishingly hard making so many leaves! Each leaf harmonizes completely with the leaf next to it so the head is firm. **Note on Scarlette F1: I came across it at Bobby-Seeds, page written in English! I didn’t realize it was in Europe. I only find 3 other companies on Google’s page 1 search, all in the UK. It is 2.75 pounds, $3.46 US. One company says it isn’t bitter like other red Napas. Another says it is ‘Developed by a specialist breeder in Asia, Scarlette is being aimed towards the salad markets in the UK and Spain. It is expected to generate particular interest among chefs due to its distinctive appearance.’ So, there may be shipping costs, but worth it if you can save pure seeds and keep it going! Let’s ask some of our favorite US seed companies to stock it! See the entire December 2016 GBC Newsletter! Grow Your Own Garden Worms, Harvest Valuable Castings! Events! January 29 Santa Barbara 9th Annual SEED SWAP! 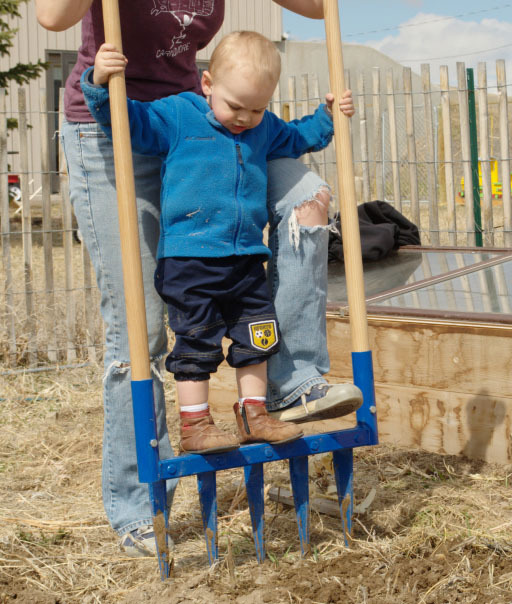 See the wonderful November images at Rancheria Community Garden! Up production, extend harvests – Again, compost is a great pick-me-up. It’s gentle, balanced, and free if you make your own. Plants you have from saving seed are adapted to your special blend and just keep getting better! Some gardeners dig it in a bit, no deeper than the top 6″ for most summer veggies. Others simply pull back the mulch, lay on an inch of compost, water, then recover with the mulch. No need to cover an entire area if you are short on compost. Do only out to the dripline. Less leaf/more blossoms – Studies show the ideal ratio of nutrients for flowering plants, tomatoes, squash, beans, peppers, melons, eggplant, is an NPK of 3-1-2. (That’s 3% Nitrogen, 1% phosphorus & 2% potassium.) So look for that ratio on the label of packaged fertilizers; anything close to a 3-1-2, a 6-2-4 or a 9-3-6 does the job. If you are getting way too much leaf, few to no blooms, no fruit, water like a fiend to wash away the too much N (Nitrogen) your soil has. Plus, though N makes for beautiful leaves, too much inhibits flowering and fruiting. You can add fertilizers high in Phosphorous for blooms, but at this point it needs to be super easy for quick uptake by your plant. More foliage – Lettuce, chard, kale can use more N. They are doing nothing but make leaves and for those plants we don’t want flowers! They are good with higher ratios of N. Liquid fish and seaweed mix is good if you don’t have predator animals frequenting your garden! Fish and kelp have a nice balance of the basic nutrients and lots of essential trace elements. 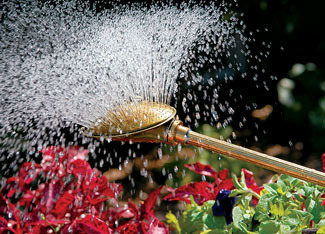 Pour some into your watering can, dilute it as directed and water it into the soil around the root zone to the dripline. If you prefer granulated stuff, pull back your mulch, sprinkle the granules around evenly, about 6″ from the plant stem. Lettuce thrives on chicken manure scratched into the top 2″, does wonders, especially in summer when your plants are working hard. Cover your mix or scratched in manure with compost or soil for faster uptake, and water in. Put your mulch back in place. Green up the leaves – a super quick fix is to give your plants a tad of blood meal. It is easy for your plant to take up, and leaves get back to their beautiful Nitrogen rich dark green asap! Blood meal is an expensive high nitrogen fertilizer, 12-2-0, a very high number for a natural product, as are fish meal (and fish emulsion), horse and poultry manure ie chicken manure. Use it sparingly because it can burn flowers and foliage due to the ammonia content. And, remember, too much N inhibits flowering and fruiting. Blood meal is also toxic to animals. Disease and Pest Resistance! Worm castings are tops! Raise your own worms or buy castings in a bag or fresh and potent at a local organic nursery! Not everyone can always get down on their hands and knees and dig about under their veggie plants. Maybe making compost, worm casting and/or manure teas will work for you! There are various methods, some simple, others time consuming and complex. Either way, they work! If you take the easy route, all you do is mix a handful of castings, a handful to a cup of compost, handful of manure, stir and let them soak overnight in a bucket. In the morning, swoosh it around in the bucket one more time, let it settle, then strain the top liquid into your long neck watering can, the one with the up turning rose. If you don’t have predators like skunks, stir in liquid Fish Emulsion, 6 tablespoons per gallon of water/Kelp, ¼ to ½ teaspoon per gallon of water, mix, and drench your plants! That’s a mix they won’t forget! Get a watering can that has a rose (spray end) that will swivel upward so you can apply that tasty mix to both the undersides and tops of the leaves, the whole plant. Since it has been found foliar feeding is in some cases more efficient that soil feeding, it makes good sense! Teas have no drawbacks. They can be applied to good avail every couple of weeks if you wish. Peppers, Toms, Eggplant & ROSES respond really well to Magnesium Sulfate (Epsom Salts) foliar feeding. Apply it when they are seedlings, when you transplant. Magnesium is critical for seed germination and the production of chlorophyll, fruit, and nuts. Magnesium helps strengthen cell walls and improves plants’ uptake of nitrogen, phosphorus, and sulfur. Magnesium deficiency in the soil may be one reason your tomato leaves yellow between the leaf veins late in the season and fruit production slows down. Sulfur, a key element in plant growth, is critical to production of vitamins, amino acids (therefore protein), and enzymes. Sulfur is probably the oldest known pesticide in current use. It can be used for disease control (e.g., powdery mildews, rusts, leaf blights, and fruit rots), and pests like mites, psyllids and thrips. Sulfur is nontoxic to mammals, but may irritate skin or especially eyes. CAUTION Sulfur has the potential to damage plants in hot (90°F and above), dry weather. It is also incompatible with other pesticides. Do not use sulfur within 20 to 30 days on plants where spray oils have been applied; it reacts with the oils to make a more phytotoxic combination. Epsom Salts are easy to do! Buy some Epsom Salts, what you soak your feet in, at the grocery store, mix a tablespoon per gallon, foliar feed! Foliar feeding is simply sprinkling leaves with your solutions, and works better than applying to the soil! Get a long snouted watering can that has a turnable sprinkler head. That long spout comes in handy, reaching well into your plant! Turn the head so the water shoots up under the leaves then falls back on the tops! The long arc of the handle gives lots of maneuvering ability and saves your back! Feed your plants once when they bloom, and again ten days later. The results, attributed to magnesium in the salts, are larger plants, more flowers, more fruit, thicker walled peppers! I use this mix on all my Solanaceaes: eggplant, pepper, tomato, tomatillo. Roses love it too! Plants have lots of little feeder roots near the surface of the soil, at least out to their dripline. When you cultivate or scratch up the soil, those little roots are broken and they can no longer feed your plant. Scratch up the soil on two sides only at most. Leave plenty of undisturbed soil so the feeder roots can continue to feed your plant. Your plant may even slow down after a feeding until it grows more feeder roots back. Give it a little time for recovery. Seedlings need to be fed close to the plant because they don’t have an array of feeder roots yet. Lettuces love a bit of chicken manure, but ixnay for strawberries. They don’t like the salts. If you enjoy making those tea/fish/kelp mixes, and want to feed your plants but minimize damage to their roots and soil structure, get yourself a spade fork, or if you have a lot of territory, a broad fork like in the image! Push it down into the soil, rock it back and forth slightly to make holes, pour in your soup! You will hear the soil organisms dancing! Know your guanos! Besides being expensive, bat and Seabird Guanos are not a quick fix; they take awhile to break down. Some say they are better applied as foliar teas, but still, the release time per Colorado University Extension is FOUR MONTHS even for powdered guano! Guanos vary hugely in NPK percents! Adding guanos high in P, Phosphorus, at planting time helps your plants continue to bloom late in the season! Jamaican bat is high P phosphorus (blooms) 1-10-0.2. But Mexican bat is high N (leaf growth, plant vigor) 10-2-1. Peruvian seabird is high in N and P (leaf and bloom) 10-10-2. Worm castings?! OH, YES! Though they are not nutrients they do cause seeds to germinate more quickly, seedlings to grow faster, leaves grow bigger, more flowers, fruits or vegetables are produced! Vermicompost suppresses several diseases on cucumbers, radishes, strawberries, grapes, tomatoes and peppers, according to research from Ohio State extension entomologist Clive Edwards. It also significantly reduced parasitic nematodes, APHIDS, mealy bugs and mites. These effects are greatest when a smaller amount of vermicompost is used—just 10-40% of the total volume of the plant growth medium is all that is needed, 25% is ideal! Up production, extend your growing time, enjoy seeing your plants’ radiant health, and be blessed with scrumptious meals!